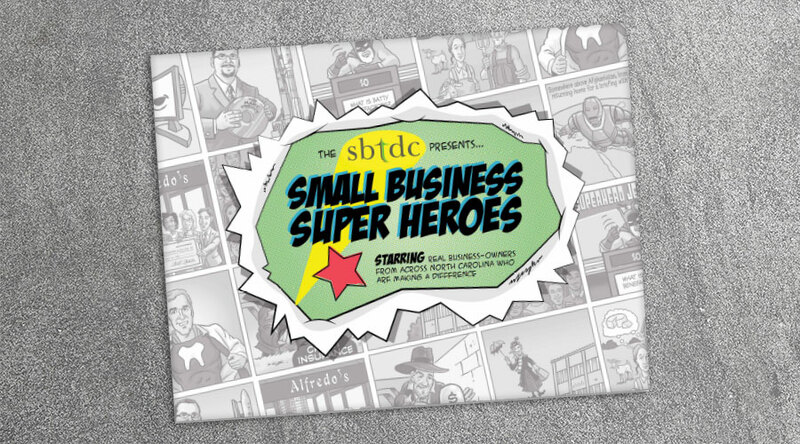 Here at the SBTDC we have the great privilege of leveraging resources of The University of North Carolina System for the benefit of indomitable and inspiring small and mid-sized business owners across North Carolina. They spend their days meeting challenges, growing their companies, creating jobs, and supporting their communities. While recruiting large companies into the state garners the lion’s share of the attention, it’s the small to mid-sized firms that create the most net new jobs. They also generate a quarter of our state’s total export revenue, and account for the lion’s share of innovation that drives high tech growth. These owners start and grow their companies in North Carolina, and rarely leave for “greener pastures.” They have roots in their communities and regions, give back, and encourage their employees to do so as well. They are truly superheroes, and this publication celebrates ten of them.